100 Biodegradable cat litter disposal bags (2 bundles of 50). Exact same size as conventional 7 gallon shopping "T-Shirt" bags. Certified compostable. 14" x 10" plus handles. Perfect for scooping litter trays especially when using oversized scoopers, like The Almost Invisible Speed Scoop. Two bundle of 50 bags (100 total). Ships USPS priority or with your order. I bought these bags because they are biodegradable. I wouldn't give them a 5 rating because they are WAY too large. I clean my cat pan twice a day and one of those bags would probably hold a weeks' worth of waste. I prefer small bags that I can discard after one use. Bags seem flimsy but are not. Hold a lot of weight, large opening makes filling easy, love the handles that can then be tied closed. Great they are biodegradable. Can cut back on plastic grocery bags. yay! 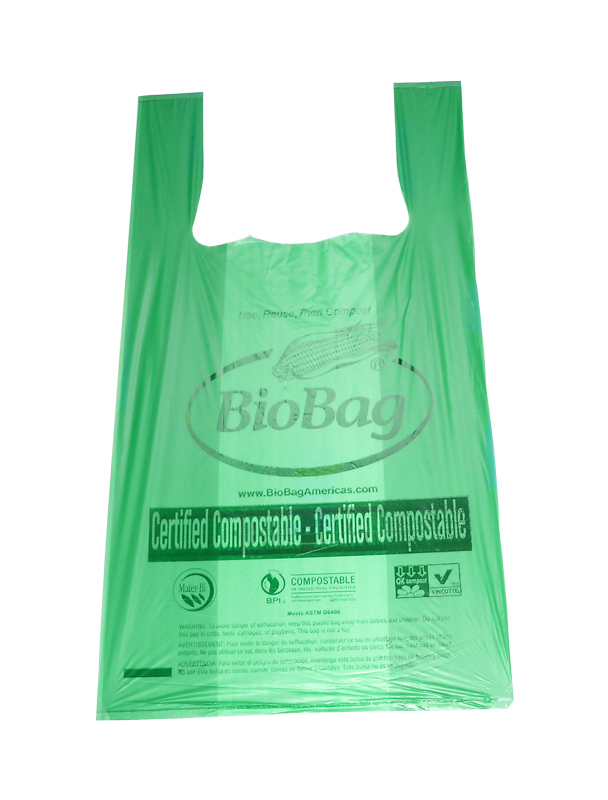 bio bags instead of regular plastic. I googled for compostable bags to use with my cat litter instead of having to use plastic bags and anti icky poo came up with a great product and price! This is my second time ordering these bags from them.